EURUSD is chiefly affected by the US economic news since there is no special report in Eurozone for today. The US is announcing and Empire State Manufacturing Index, TIC Long-Term Purchases and NAHB Housing Market Index. 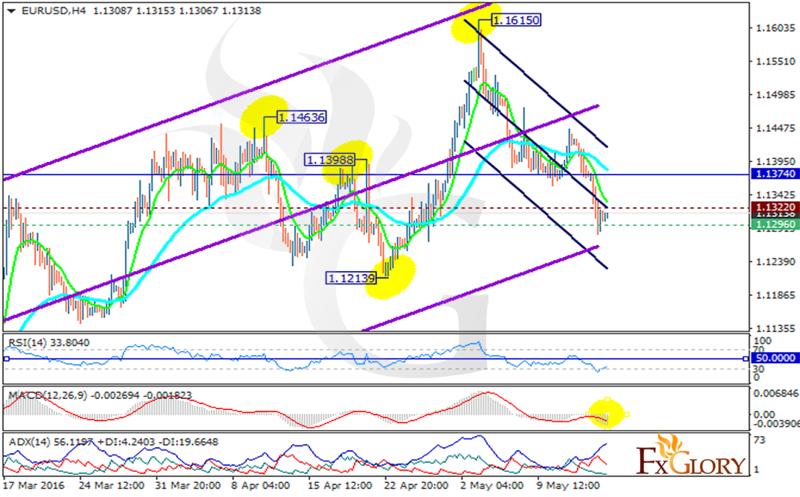 EURUSD is moving with bearish bias creating support at 1.12960 with resistance at 1.13220 which both lines are below the monthly pivot point at 1.13740. The EMA of 10 is located below the EMA of 50 suggesting the price decline in the last recent days. All indicators are signaling sell opportunity such as MACD which is in negative territory, the RSI is below 50 and the ADX is showing strong sellers. Sellers can expect the price to touch 1.1150.